Tom Klomann was born in 1945 in Chicago, Illinois. He was commissioned a 2d Lt in the U.S. Air Force through the Air Force ROTC program at the Illinois Institute of Technology on June 6, 1968, and went on active duty beginning September 22, 1968. 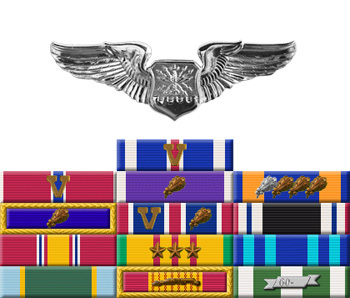 Lt Klomann next attended Undergraduate Pilot Training at Laughlin AFB, Texas, from September to November 1968, and then attended Undergraduate Navigator Training at Mather AFB, California, earning his navigator wings in September 1969. 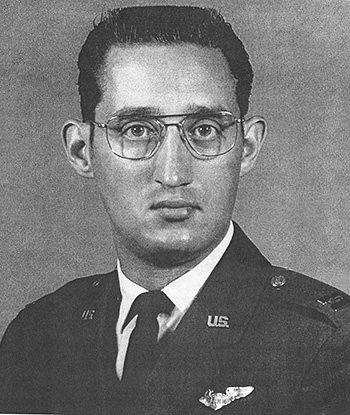 After completing Navigator-Bombardier training and B-52 Stratofortress Combat Crew Training, Lt Klomann served as a B-52 navigator-bombardier with the 348th Bomb Squadron at Westover AFB, Massachusetts, from May 1970 to until he was forced to eject over North Vietnam and was taken as a Prisoner of War on December 20, 1972. During this time, Capt Klomann deployed to Southeast Asia to fly Arc Light combat missions from October 1971 to January 1972, from January to February 1972, and from October 1972 until he was shot down in December 1972. After spending 55 days in captivity, he was released during Operation Homecoming on February 12, 1973, and then was hospitalized to recover from his injuries at Lackland AFB, Texas, from February 1973 until he was medically retired from the Air Force on June 10, 1974. Captain Thomas J. Klomann distinguished himself by heroism while participating in aerial flight as a B-52 Navigator in Southeast Asia on 20 December 1972. On that date, Captain Klomann participated in high priority bombing missions against vital military targets in heavily defended areas of North Vietnam. Despite the intensity of the hostile defensive reactions and the great threat posed by surface-to-air missiles and antiaircraft artillery fire, Captain Klomann displayed extraordinary courage, a remarkable ability to perform under stress and a willingness to place the mission requirements above his own safety as he successfully released his ordnance on the designated target. The outstanding heroism and selfless devotion to duty displayed by Captain Klomann reflect great credit upon himself and the United States Air Force.